There are very few deciduous trees on Tiree. The normal mainland indicators of autumn are missing. There are no golds, yellows or reds, no conkers and no leaves to kick. However, the yellow irises are preparing for their winter repose. Their green leaves are turning brown as they die back. Very soon they will be having their winter sleep. The tall grasses are turning brown. The Machair is also preparing for the winter. 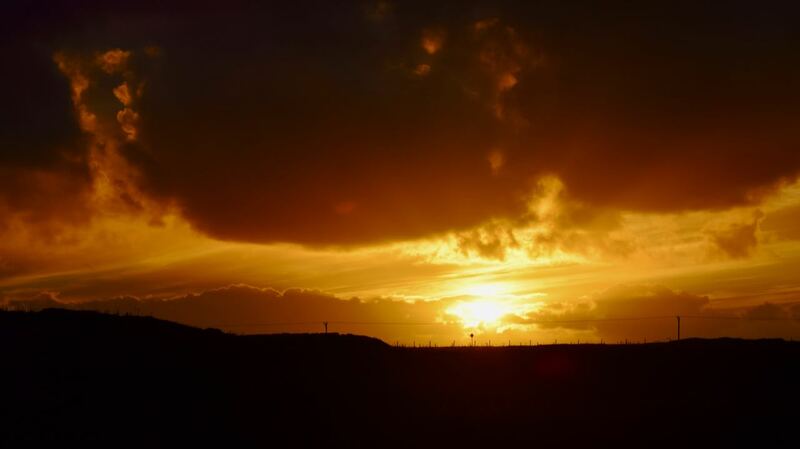 Gone are the heady spring days when the Machair was rich in colour. And the “sliabh” (wet, boggy, peaty ground) evidences the change in season. Thankfully fields have been cut and the grass is in bales. 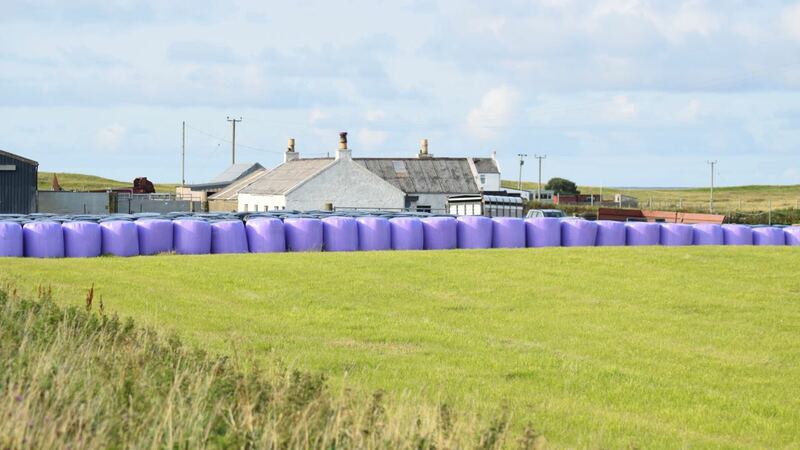 Here too are the colours of autumn – black and purple bales. It is always a concern that it will be dry enough to carry out this work. 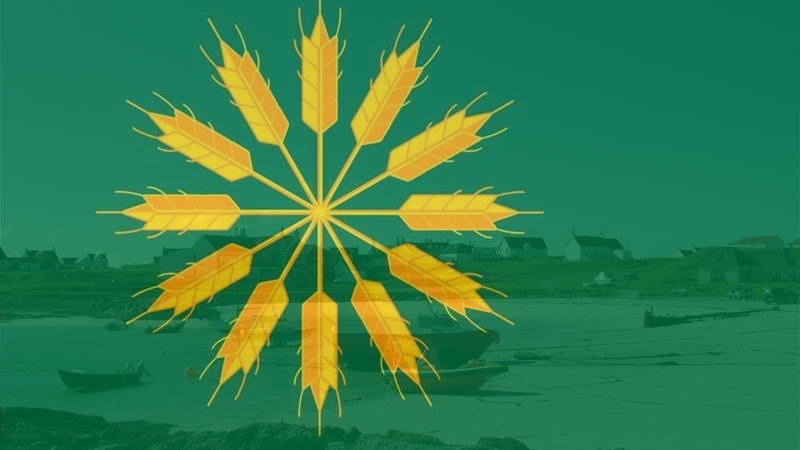 Tiree does not have the mainland signs of Autumn. However on Thursday we had our own autumn colours. The colours of autumn were painted across the evening sky. We may not have leaves to kick but we have wonderful colours to admire. 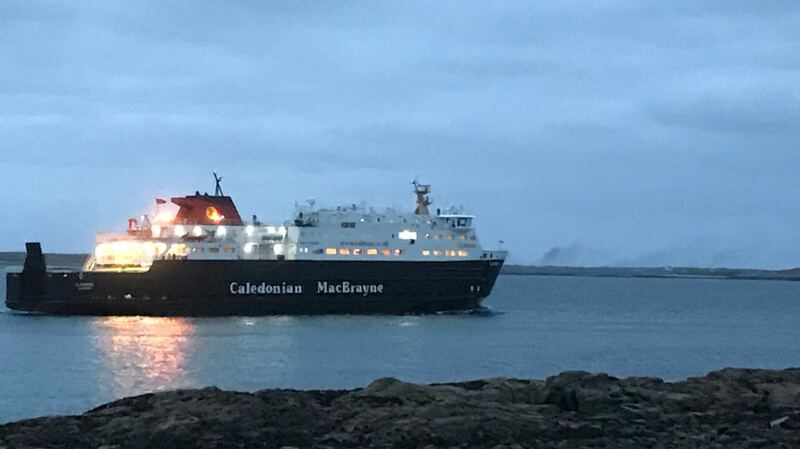 Due to the wind the ferry has been on an alert on several occasions. Due to low cloud and poor visibility some flights this past week have been cancelled. Daylight hours are getting shorter. The hours of darkness are steadily increasing. A fact that was evidenced as the ferry set sail on Tuesday evening. 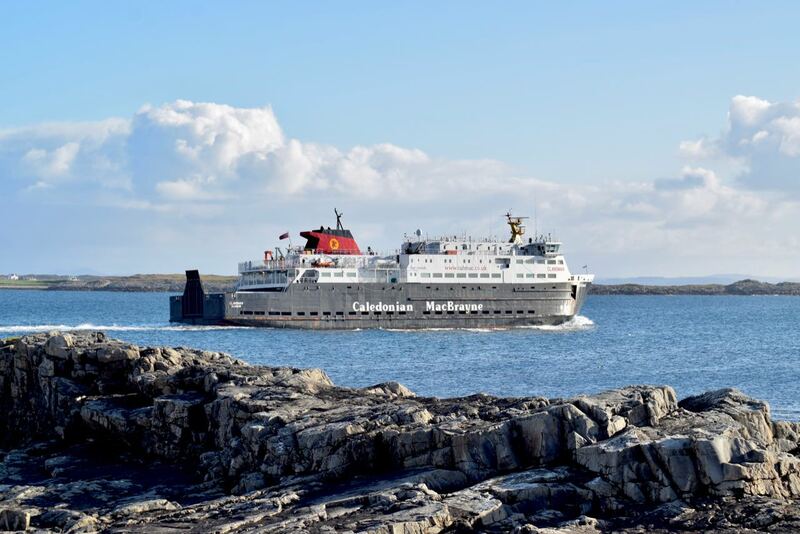 Very soon we will be on the reduced winter timetable – with no late sailings. It was a welcome sight after the mist and rain of the previous days. Those leaving for their half-term holiday enjoyed calm seas and sunshine. The forecast for Saturday is for over 9 hours of sunshine. 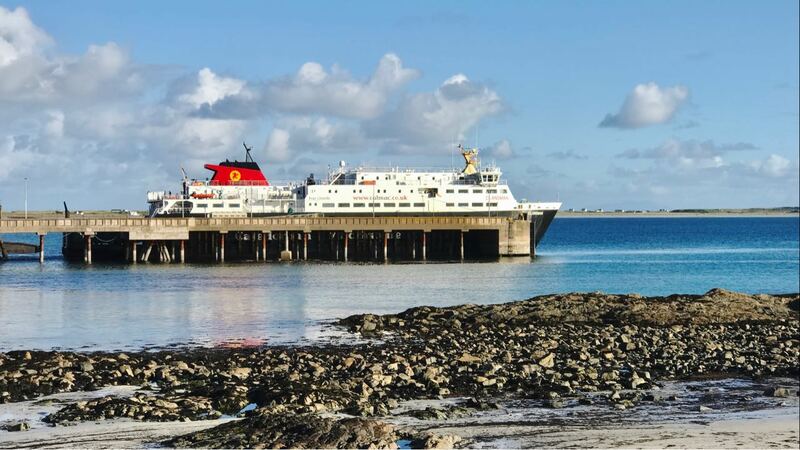 It being the autumn holiday it will be a busy ferry inbound and outbound. Whether there will be a ferry on Sunday or Monday is another matter all together. The forecast is for ‘swell conditions’ with winds gusting in excess of 50mph! 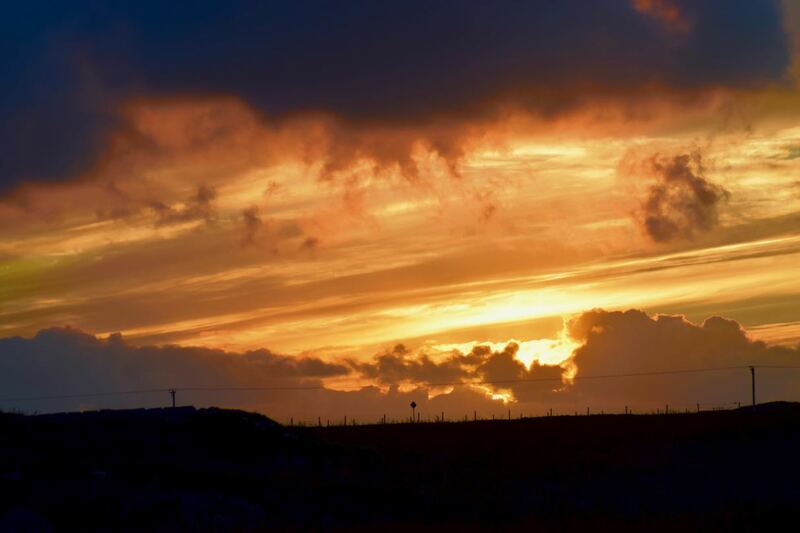 Life on Tiree enjoying Autumn on the island.